Mel Brooks didn’t hold back when he crafted The Producers. In fact, he charged into controversy full on, taking on Hitler, Germany, WWII, Broadway, and well, you get the idea. Mel Brooks created The Producers because he figured “If you can bring these people down with comedy, they stand no chance.” And he is certainly on to something there. The Producers is absolutely brazen satire at its best and Mel Brooks artlessly transforms power into comedy. Look, this musical, being staged at Spokane Civic Theatre, is about taking power back. And using comedy to do so. Do not let this production’s satire sway you from coming to see the show. The Producers truly is about side-splitting comedy done in a way only Mel Brooks can do. Marianne McLaughlin grabs the bull by the horns and presents Civic audiences with something so outlandishly funny, fast paced, comedic and, well, charming, that people are leaving the theatre with smiles on their faces and guffaws in their bellies. Embrace this fast and furious comedy and see why the reviews of Spokane Civic Theatre’s The Producers are so good. Why Should you go see The Producers? Fall is finally here; it’s cold. What else is there to do? Clever song and dance numbers that leave you grinning ear to ear. It’s energetic and full of enjoyable innuendo. Grannies tap dancing with walkers – did I spot a few grandpas in the mix? A woman wears a wiener on her head. To quote Tia Wooley, ’nuff said. The pigeons. That’s all; just the pigeons. You have to see the show and then you’ll understand. There’s a unibrow in the cast. So don’t let any preconceived notions keep you from going to see The Producers at Spokane Civic Theatre. Sometimes it’s laughing at something that lets you wrap your mind around it and process it. Mel Brooks takes on and makes fun of a stereotype; he does not take on the beliefs and the actions of that stereotype. A thin line some might say, but you need to judge that for yourself. Isn’t that what theatre is all about? This guest post was written by Allyson Shoshana who works for Design Spike®, Inc. as an account and project manager for website development and social media marketing. As a caveat, Allyson was previously employed at Spokane Civic Theatre and maintains close ties to the Spokane theatre community and is absolutely biased. You can follow her rants at @AllyShoshana or her professional musings on Design Spike’s blog. Stay in touch with Spokane Civic Theatre and get social: Visit Civic’s Facebook Page, Tumblr and Google+ Page. 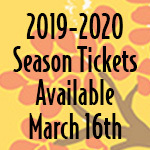 To get more information about upcoming productions for the Season to Inspire like A Closer Walk With Patsy Cline, White Christmas, Escanaba in Love, Next to Normal, On Golden Pond, Treasure Island, Grease and more, check out our website or give us a call at 509.325.2507.